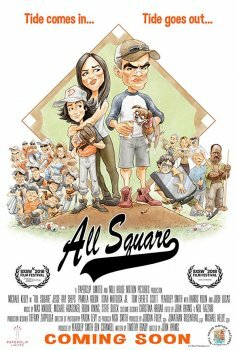 All Square - Available as a download or stream? Indie comedy about a bookie who starts taking bets on Little League Baseball games. Starring Michael Kelly, Pamela Adlon, Jesse Ray Sheps, Josh Lucas, Tom Everett Scott, Isiah Whitlock Jr., Harris Yulin, Yeardley Smith, Jonathan Rosenthal, Craig Walker, Jay Larson, Neal Huff, and Brett Davis.